Pale light falls on long rows of shelves containing numerous documents – certificates, enrolment records, doctoral degree files and the documents left behind by former professors. If all of these documents were stacked on top of each other, they would form a tower of approximately 270 years of University history that was 3.5 kilometres high. The University Archive is FAU’s memory, with several locations in Nuremberg and in Erlangen, where it is part of the University Library. The archive files contain documents on well-known individuals such as the philosopher Ludwig Feuerbach and the politician Ludwig Erhard. They studied and taught at FAU – Feuerbach in Erlangen, Erhard in Nuremberg. There is also a file on the mathematician Emmy Noether, who did her doctoral degree at FAU. ‘The doctoral degree files reveal a lot about the biographies of each of the candidates as they also contain their CVs. The majority of requests concern these files,’ says Dr. Clemens Wachter, FAU’s archivist. He searches the Archive for aspects of the University’s history, its students and relevant facts for historical analysis. Moreover, he archives individual objects as examples. ‘We have collected old slide projectors in the Archive so as to document for later generations how knowledge was conveyed in the past,’ Wachter explains. The Archive’s treasures also include documents that belonged to former academics and researchers, including personal records and notes, photographs and lecture transcripts, and there may still be some surprises which are yet uncovered. However, the Archive does not just contain documents of famous researchers. 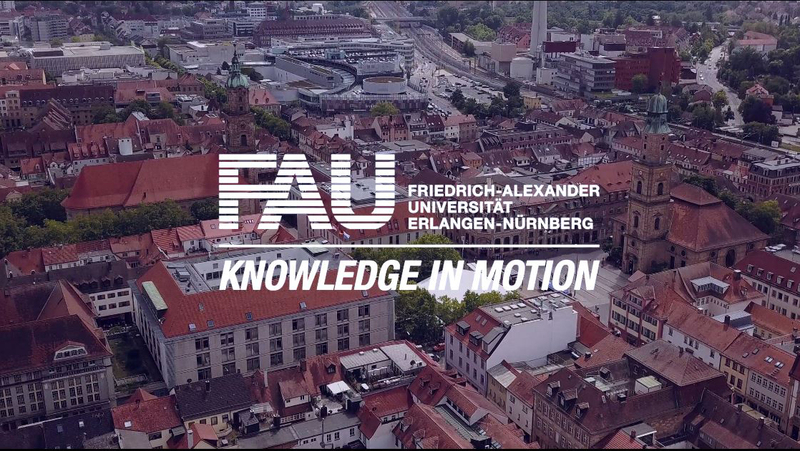 Thanks to enrolment records and course lists FAU remembers every student who has ever been enrolled, no matter how long they stayed. The University has a long memory. The Bavarian archive law (Bayerisches Archivgesetz) stipulates that universities are obliged to store relevant documents produced at their institutions. This ensures permanent legal security for everybody who is involved in a doctoral degree programme, for instance. Before the days of the Internet, student groups mainly communicated via magazines and pamphlets. These have been stored in the Archive from the late 1960s onwards and show what student life was like and which political topics students were concerned with back then. We might prefer to block out unpleasant memories, but the Archive remembers. It also contains important documents on the dark chapters of history such as the case of Hans Schwerte. After completing his doctoral degree and habilitation at FAU he taught German studies in Erlangen and later became a renowned, left-liberal professor in Aachen. In 1995, it emerged that he had assumed a fictitious identity when he came to Erlangen in 1946. He was actually called Hans Schneider and had held a high-ranking position in Heinrich Himmler’s organisation Ahnenerbe. Another example: in the late 1990s the issue of the withdrawal of doctoral degrees, which had been rightfully obtained, based on National Socialist ideology was addressed. The Archive’s documents were an indispensable source of information in this regard. Thanks to them more than 150 people who had been affected received recognition and therefore justice, at least retrospectively.